Squarenix Blotcharindo by Diane Parnell - 8.000" x 8.000"
Squarenix Blotcharindo acrylic print by Diane Parnell. Bring your artwork to life with the stylish lines and added depth of an acrylic print. Your image gets printed directly onto the back of a 1/4" thick sheet of clear acrylic. The high gloss of the acrylic sheet complements the rich colors of any image to produce stunning results. Two different mounting options are available, see below. 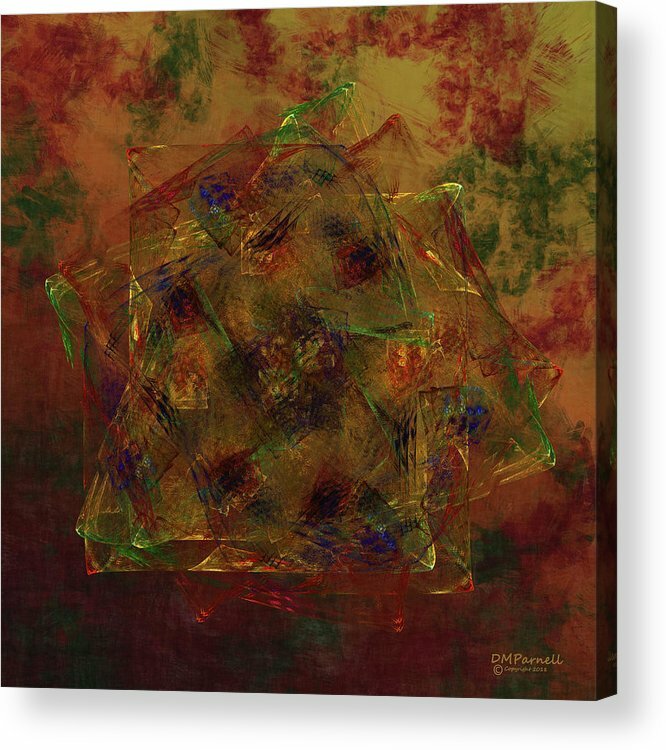 Elegant layers of glassy shapes converge beautifully in this intriguing work, Diane. 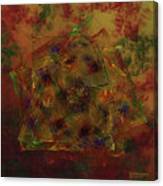 This fantastic primary color abstract has a digitally hand created background in bold gold, forest green, and deep red. The focal point of the art is a complex, custom multi-layered fractal in a corresponding color palette with the addition of touches of royal blue for interest. This art is edgy, hip, urban, contemporary and dimensional. If you are looking for a piece of abstract art to add some color and depth to your living space, office or fine art collection, this would be a wonderful choice.